Dubai residents braced for the implementation of five per cent value-added tax (VAT) on various goods and services starting on Monday, making them now more budget-conscious and selective on their purchases. A few were surprised after seeing extra charges on their receipts but many were ready for VAT, which has always been in the news. "We have been aware that VAT will be implemented starting January 1, so we have already made some adjustments in our household budget," 39-year-old Filipino expat Jerick Valencia, a Dubai resident for eight years. "Starting from today (Monday), every time I go to the supermarket to buy some groceries, I always make a mental calculation for VAT to keep me within our monthly budget for food and other household items," Valencia shared. "I bought some stuff today and my bill is Dh92.86 before VAT but after VAT it became Dh97.50. The VAT might be negligible on a single purchase but if you add it up, it will be a huge amount at the end of the month. Even his five-year-old son's ice cream is not exempt from VAT. Isaih Edrick's single scoop of his favourite chocolate ice cream is now Dh10.50, up from Dh10 before the VAT regime. Valencia and his wife Amy said they will cut on unessential things and expenses they can control. "We will not cut down on food as this is very basic and essential but we will definitely reduce our use of electricity - it's winter, so no AC for us for now - and other things." "But I just hope companies in Dubai will give salary increase this year so we can also get some respite from our expenses," Valencia, who works in sales, added. Kevin Nevis, 26, meanwhile was surprised to find additional Dh4.92 on his purchase of vegetables and some snacks from a supermarket at a mall in Al Barsha. "Now I have to be more budget-conscious. 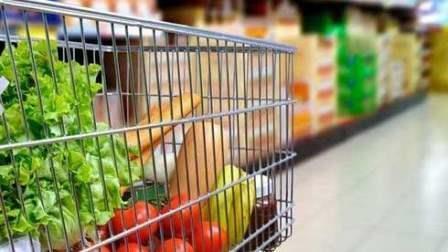 I will only buy from groceries which offer discounts to compensate from the VAT charges." Doris, another Dubai resident of five years, said with VAT she will cut down on what she calls her favourite "luxury snacks" which are chips and other junk food. "It's also for my own health anyway," she added. Meanwhile, Indian expat Sajid is happy that VAT is still not being added at his neighbourhood store in Al Barsha. He bought some bananas, cucumber and biscuits and paid only Dh10 with no VAT. Small stores are not required to mandatorily levy VAT if annual revenues don't exceed Dh375,000.